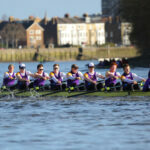 This weekend the University Of London Boat Club are set to race ‘Wallingford Head’. 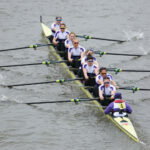 ULBC crews will each race twice, with different combinations of athletes in the two divisions, over the 4.5km course. The event will provide a good mid-winter indicator as to where UL athletes are as the end of term approaches, and for the upcoming training camp to Avis, Portugal. The pre-Christmas term so far has seen the ULBC Men’s 1st Eight take a first ever medal in the Eights at Brit Champs in October, ULBC athletes race in winning composites at the Pairs and Fours Head of the River and some strong performances at the first GB Trials of the Olympic Season from both our Men’s and Women’s squads. Full crew lists can be found below (for the 1st division). This weekend also sees The ULBC Annual Dinner take place. Over 200 current and former rowers are expected for the black-tie event taking place at Senate House in Central London, to celebrate ULBC’s long and continued success.